Central London office lettings in August 2018 reached just over 750,000 sq ft from 40 mid-large size office transactions (5,000 sq ft+) during the month. The August 2018 figure is below the current monthly London average of 1m sq ft.
August was characterised by 9 office deals over 20,000 sq ft, which were led by the Investec’s 123,000 sq ft deal to pre-let 55 Gresham Street, EC2, N1; Competition and Markets Authority 105,000 sq ft deal at 25 Cabot Square, E14 and Hiscox’s 75,000 sq ft pre-let at 22 Bishopsgate, EC2. 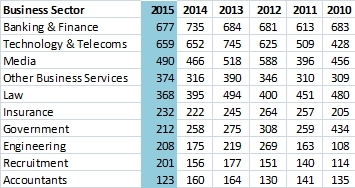 Financial services topped the table of lettings by sector, compiled by Metropolis, underpinned by the Investec deal. This was followed by business services led by a number of lettings to Office Space in Town and LEO. Insurance, professional and media were also well represented. Office deals ‘under offer’ in central London increased to 3.9m sq ft, and pending deal volumes are healthy in nearly all sub-markets, with a number of deals pending. By area, the City accounted for 47pc of the office floorspace let in August 2018 at 354,000 sq ft. The West End saw 150,000 sq ft of take-up. Midtown contributed 69,000 sq ft of lettings. Current London office demand is calculated to be around 3.7m sq ft in the City and 3.2m sq ft in the West End. The volume of grade A (newly built or refurbished office space) let during the month reached 413,000 sq ft sq ft (55% of the monthly total), as transactions for new space resumed their recent strong showing. Availability is dominated by secondhand space in all London markets. Metropolis research is currently monitoring 645 ‘live’ London requirements, with deals for space of up to 1.8m sq ft due to sign in the next few months. Wells Fargo, the US bank, has bought the under construction 227,000 sq ft 33 Central office development in London, EC4 for its own occupation as its new London HQ. The Government Property Unit has signed for 400,000 sq ft of deals at 20 Cabot Square, London, E14 for a host of public sector bodies including 150,000 sq ft for regulator OFGEM. Derwent London has pre-let 84,600 sq ft in four deals at its 185,000 sq ft refurbishment of The White Chapel Building E1. Incoming tenants include Reddie & Grose, Perkins & Will, The Shipowners’ Club and Unruly Media. David Game Tutorial College take the 60,000 sq ft 31 Jewry Street, London, EC3. 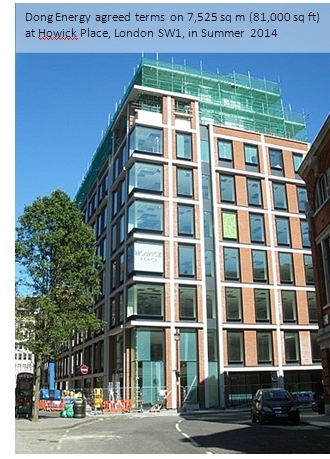 University College London take 23,000 sq ft at 1 St Martin’s Le Grand, EC1. Kames Capital and MS Amlin take expansion space at the Leadenhall Building. Public Lab, a DIY environmental science community, is due to sign for 15,000 sq ft at Aldgate Tower, London, E1. Central London office lettings picked up in February 2016 with 984,000 sq ft of office space transacted in 43 deals in during the month. 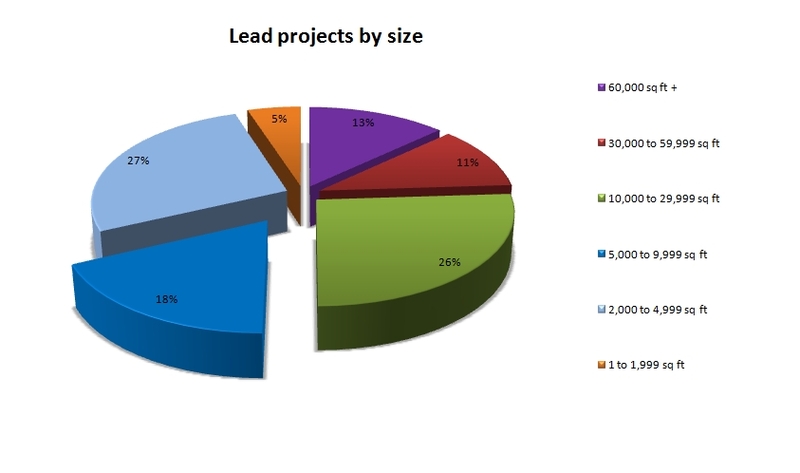 The figure represented a 20% increase on the January total, but below the recent average of 1m sq ft per month. February was characterised by 11 office deals over 20,000 sq ft, including Capita at the Copyright Building, W1; Aecom at Aldgate Tower, E1 and Zoopla at Cooperage Building, SE1. Business services again topped the table of lettings by sector, helped by Capita’s 94,000 sq ft pre-let and more lettings to serviced office operators, this was followed by professional services boosted by Aecom. Media and property-related sectors are also performing well. Office deals under offer is holding at around 2.7m sq ft, with notable activity in Docklands and Southbank. 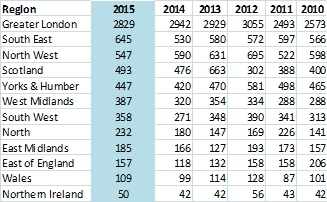 By area, the City accounted for only just over a 68pc of the floorspace let in February. The West End had a quiet month, aside from the Capita deal, but the Southbank saw above average activity. Current London office demand is calculated to be around 4.1m sq ft in the City and 3m sq ft in the West End. The volume of grade A (newly built or refurbished office space) let during the month reached 338,000 sq ft (34% of the total), as transactions for newly developed or refurbished space continue to take a slightly smaller part of the total than recent months. 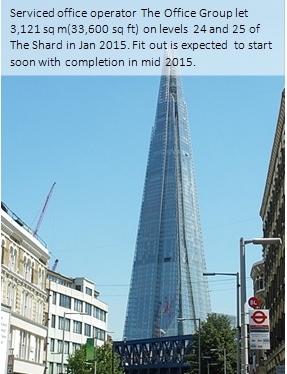 Some 7m sq ft of new office space is expected to complete in London in 2016. Further details of schemes and pre-lets on Cityoffices.net. Central London office lettings registered a small rise to 840,000 sq ft of transactions in September 2015, spread across 52 deals during the month. September was characterised by 10 deals over 20,000 sq ft, including Deutsche Asset & Wealth Management taking 90,000 sq ft at the Zig Zag building, Victoria Street, SW1; Mediobanca at 62 Buckingham Gate; Universal Music at 4 Pancras Square, N1 and Seven Investment Management at 55 Bishopsgate, EC2. Financial services topped the table of lettings by sector, helped by Deutsche and seven Investment Management deals office, followed by media boosted by Universal Music’s pre-let. Office deals under offer (including RBC in the City) fell slightly to 3.8m sq ft.
By area, the City accounted for a little under half the deals (21) but only 30pc of the floorspace let in the month as other areas saw a lettings boost. Current London office demand is calculated to be around 6m sq ft in the City and 3.7m sq ft in the West End. Availability fell to 9.6m sq ft, but a large number of new schemes are at demolition stage and soon to be marketed. The volume of grade A (newly built or refurbished office space) let during the month reached 557,000 sq ft (66% of the total), as transactions for newly developed or refurbished space took a large part of the total. Metropolis is about to publish a new report on upcoming London office schemes for autumn 2015. The newsletter was provided exclusively to Metropolis clients. If you are interested in finding out how Metropolis could help your company win new business please visit us at http://www.metroinfo.co.uk.